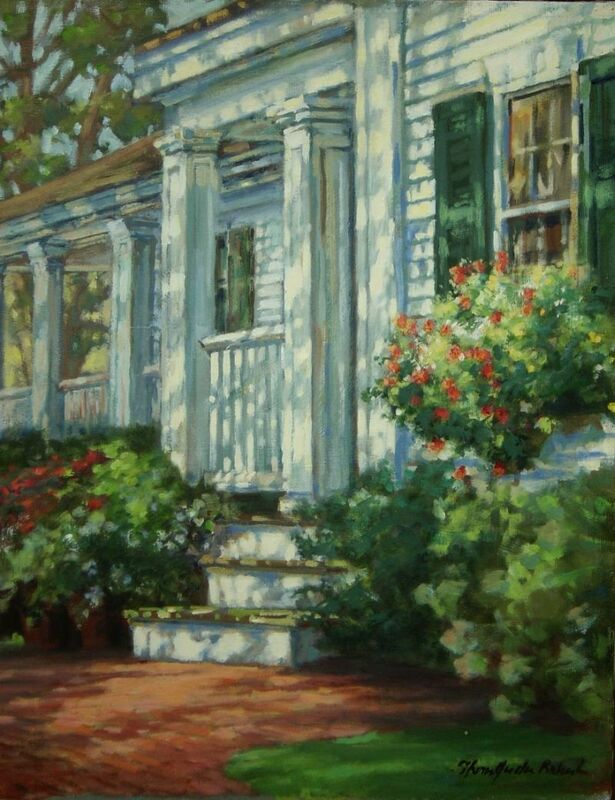 the rest is just the stage. 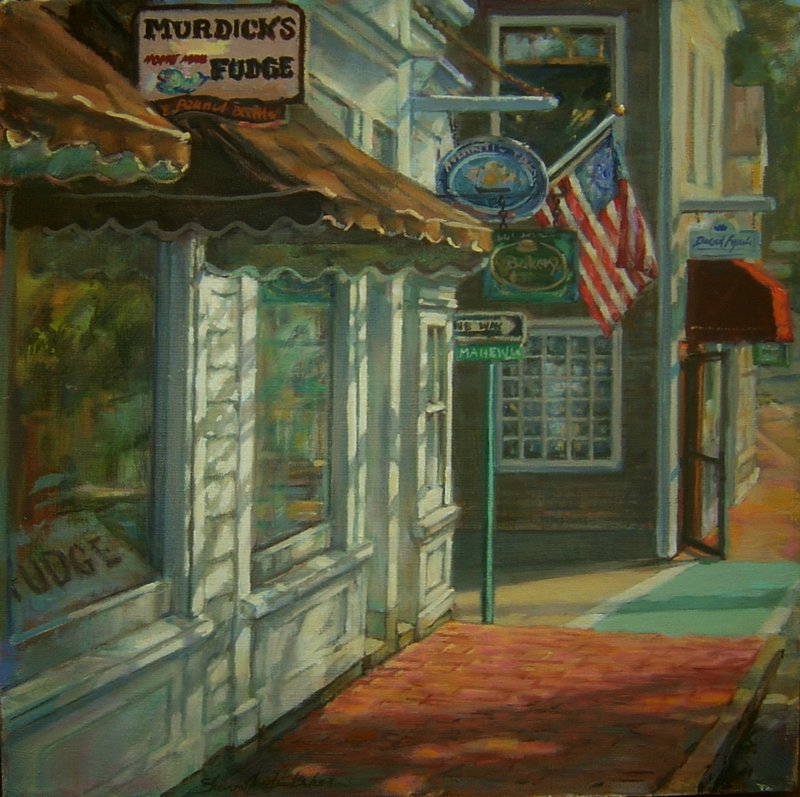 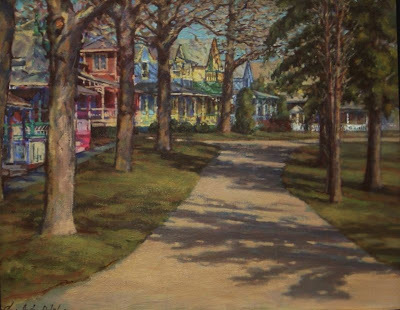 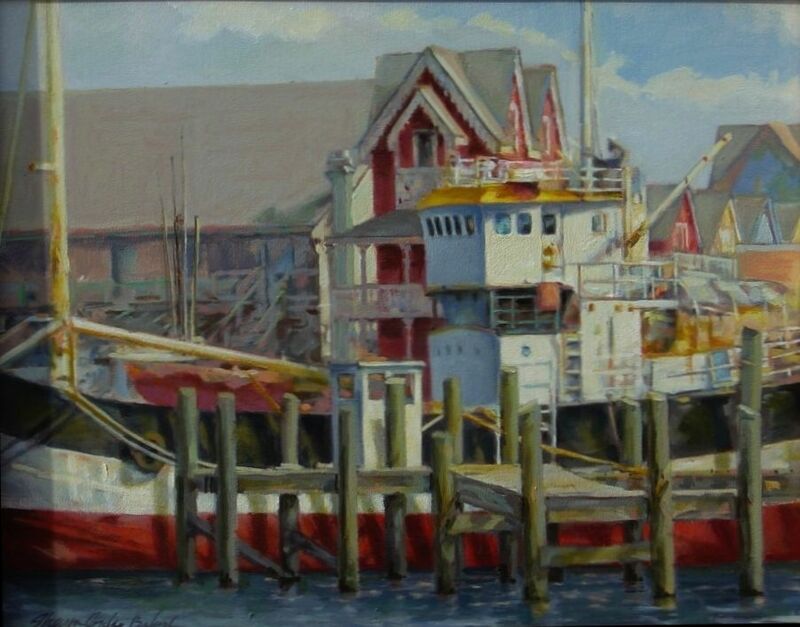 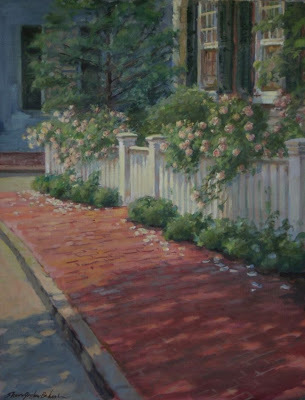 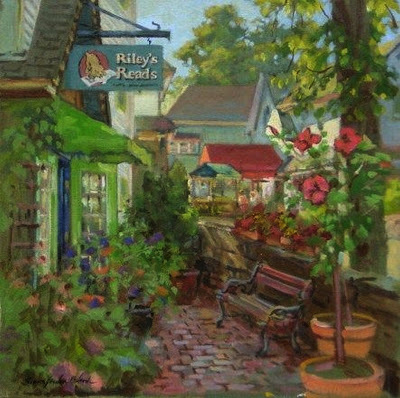 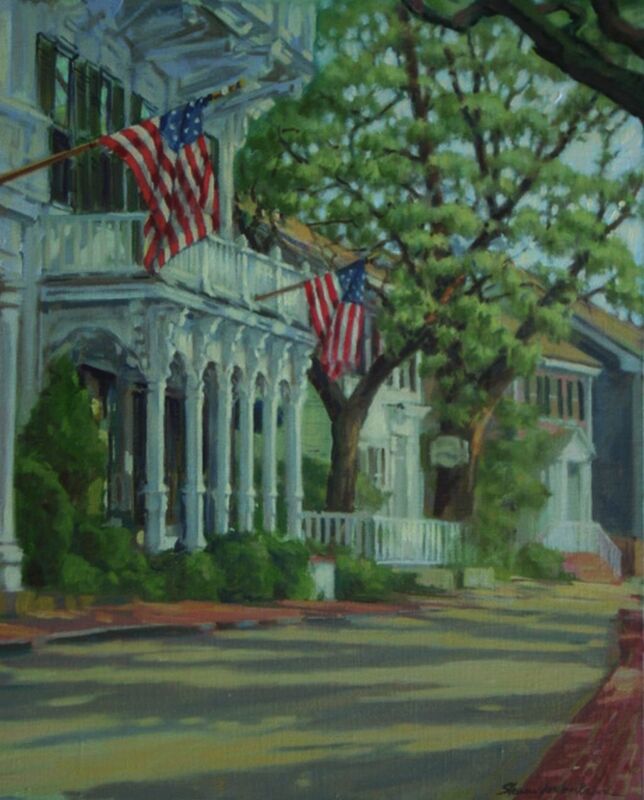 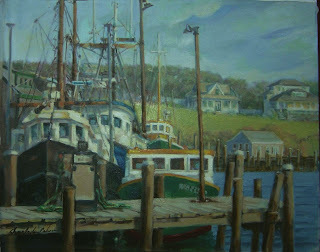 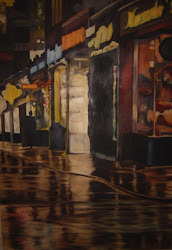 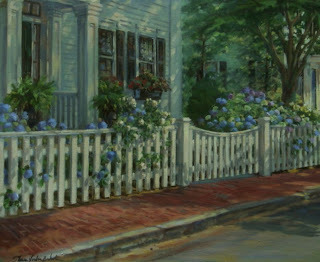 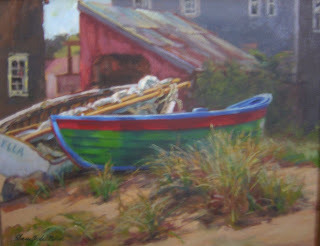 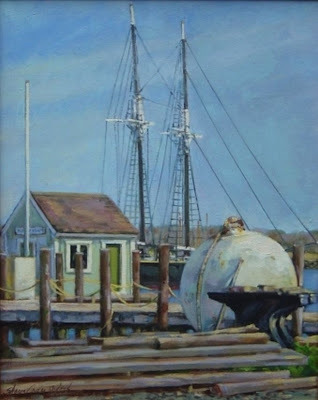 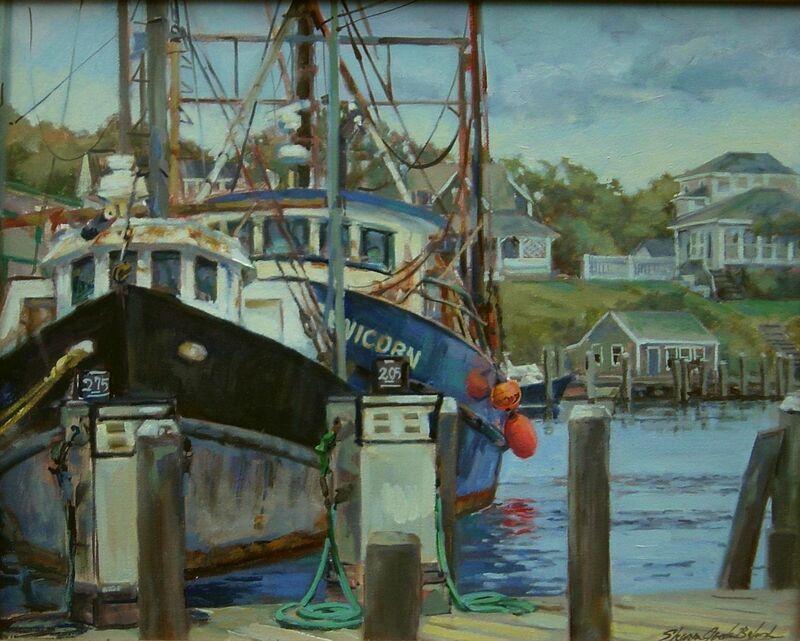 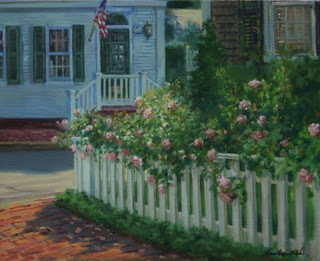 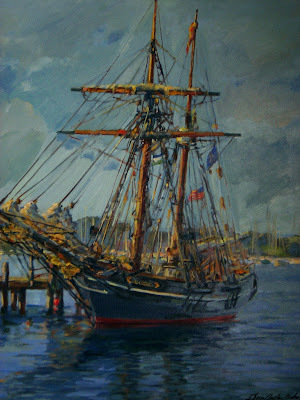 is another Water Street painting done on location. 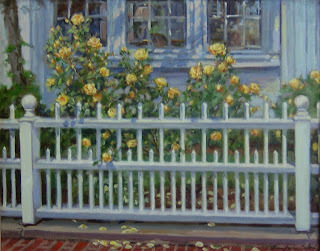 "Bright Spot in the Shade"
oils on canvas 16 x 20"
it's debut it conveys my passion for the subject and for painting. 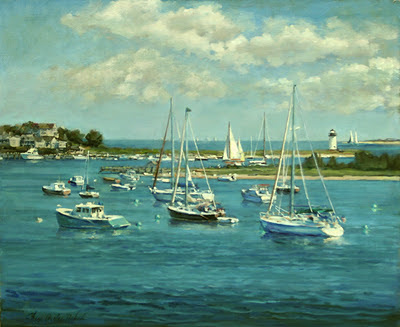 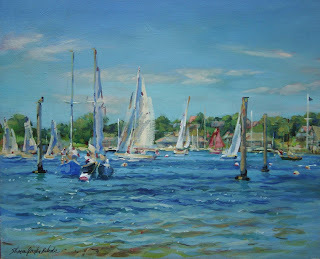 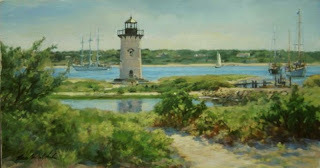 of Martha's Vineyard and that which lured me to do more. 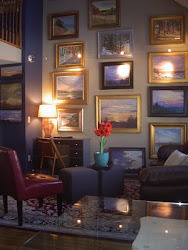 I have one more available and will include it in this collection soon. 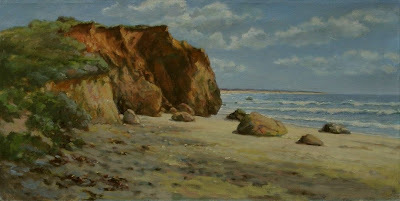 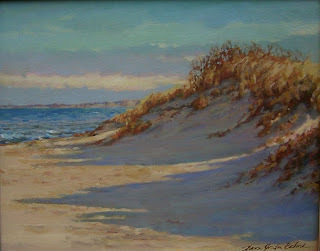 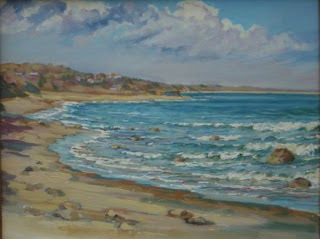 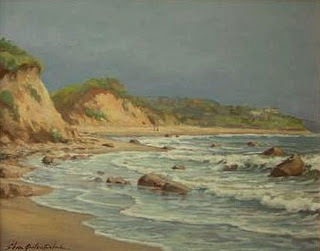 is available, 16 x 20"
to paint the quiet time at an otherwise bustling place. 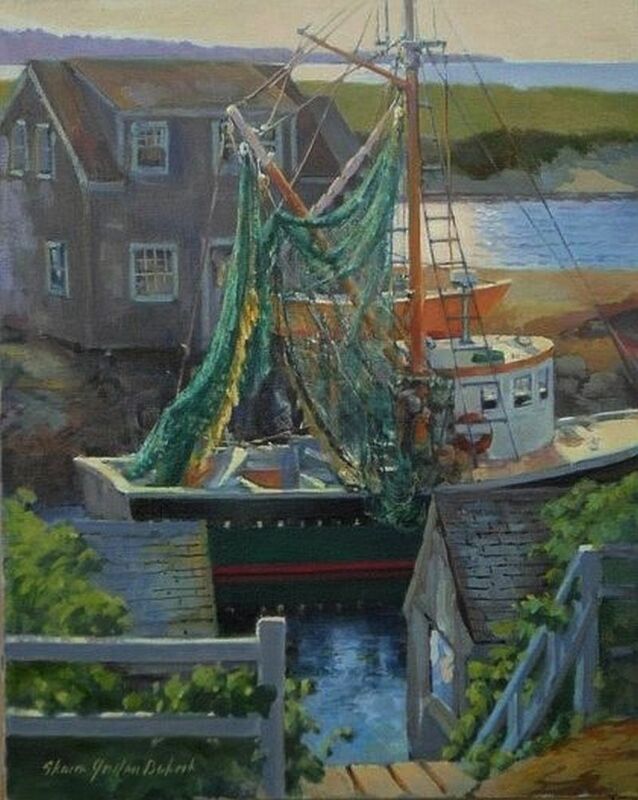 This is one of the artist's favorites for many reasons. 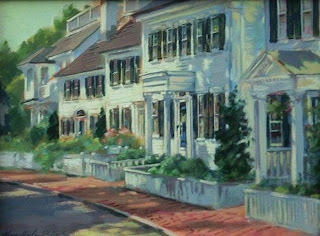 and it's not there at all! telling how long we will get to view it. 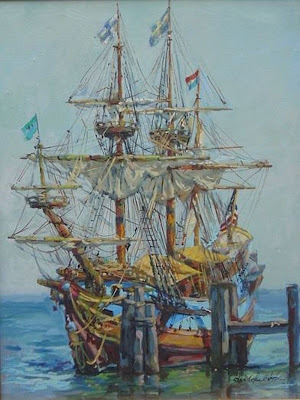 Kinda makes me somewhat of a historian. 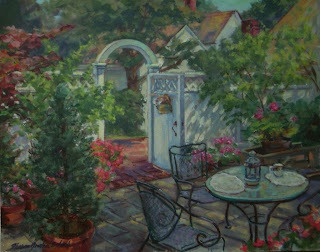 oils on canvas 16 x 18"
I'm a career artist since 1973, studied at the Art Institute of Boston and with Charlotte Wharton and Daniel Greene. 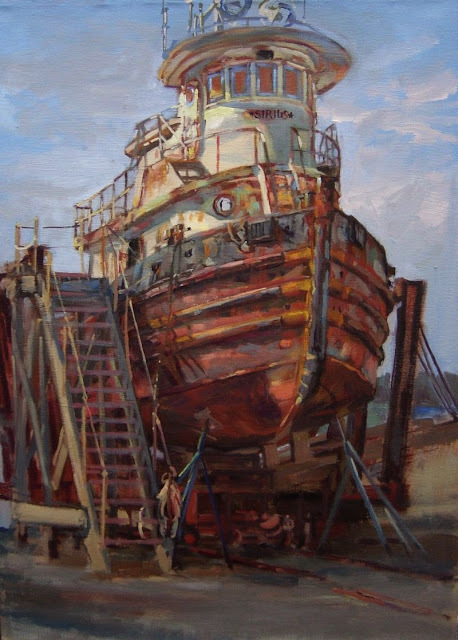 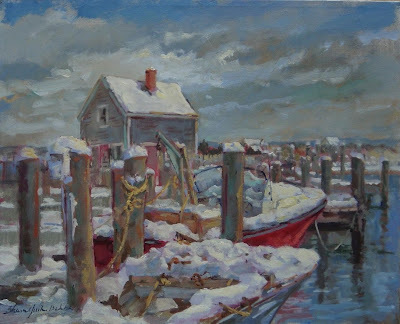 I went to Russia to culturally exchange with artists there in group exhibits, I've shown my work in New York City, Mystic Seaport, Cape Cod, Portland and Ogunquit ME, the Springfield Museum of Fine Art, the Worcester Art Museum and the Fitchburg Art Museum. 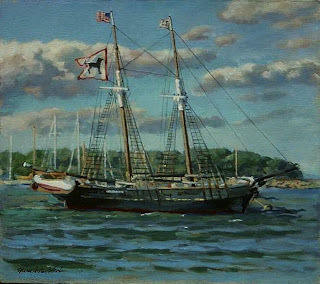 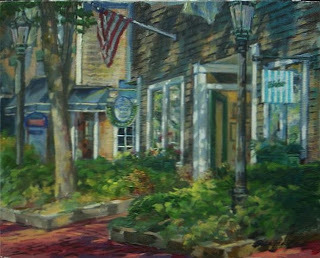 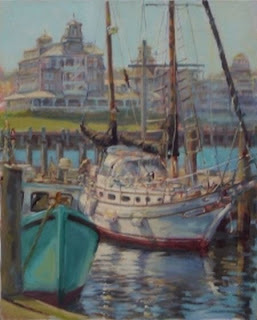 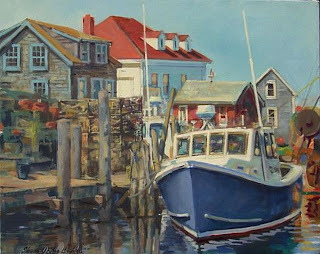 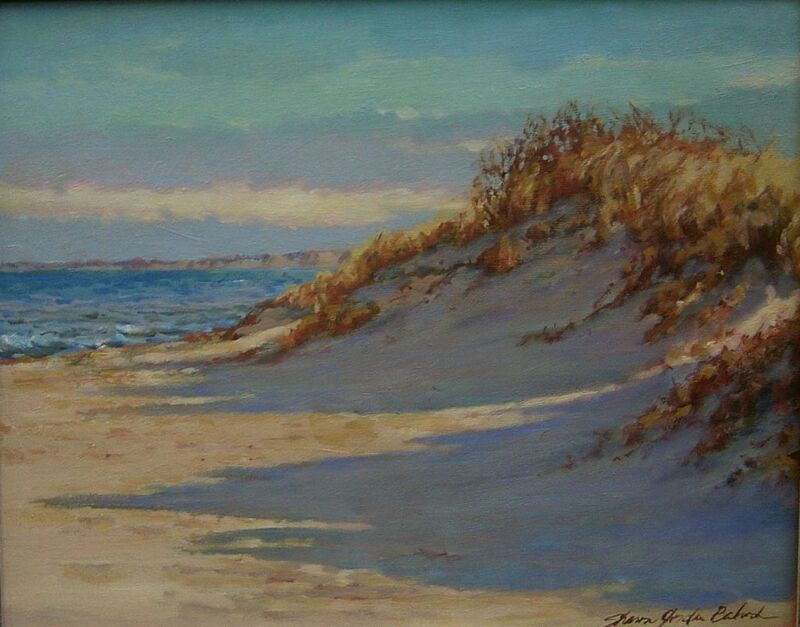 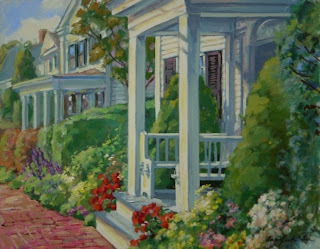 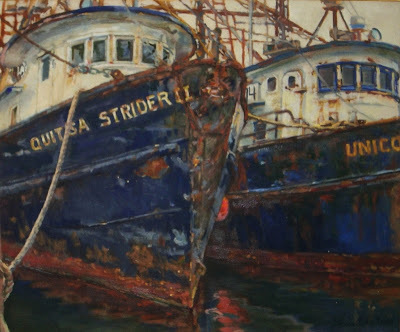 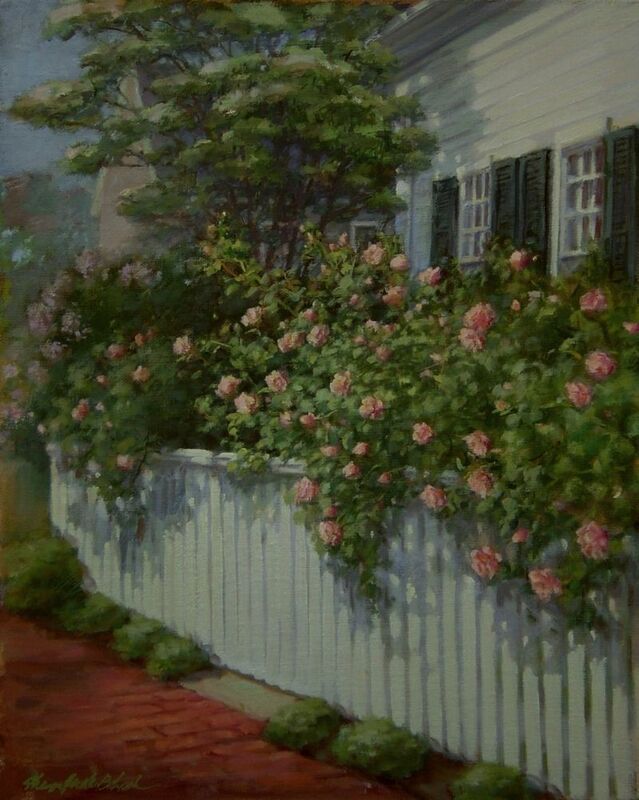 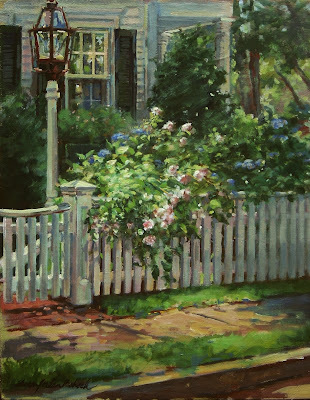 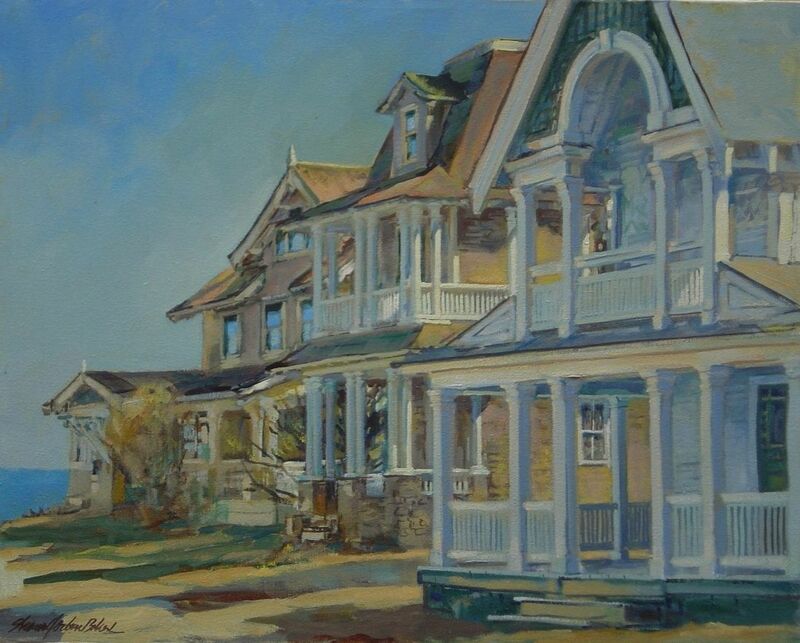 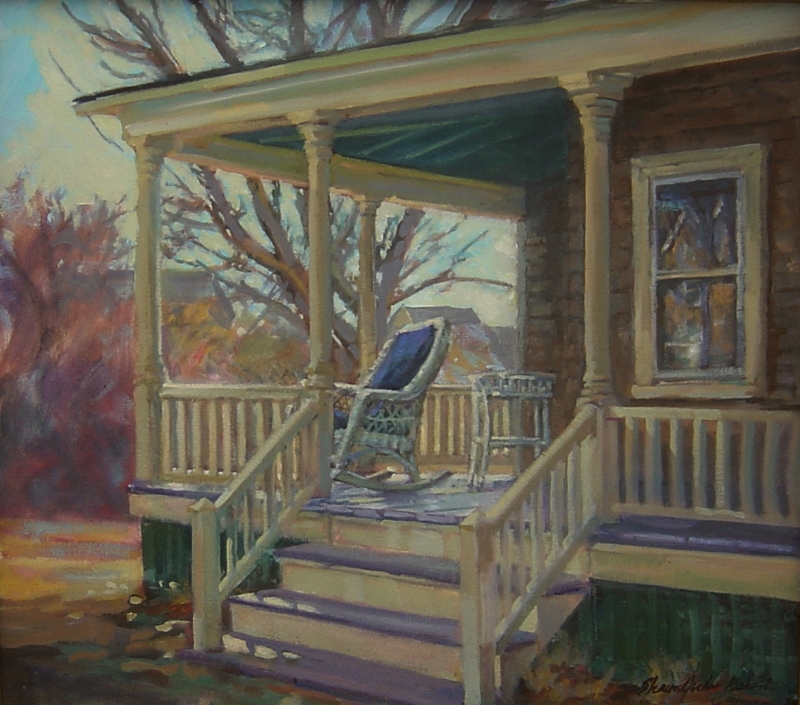 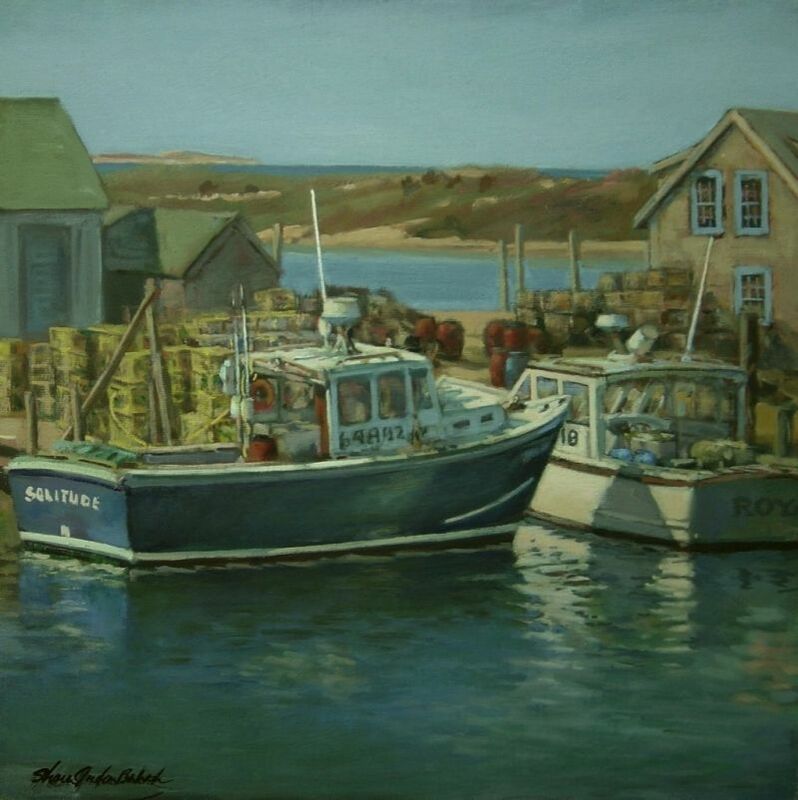 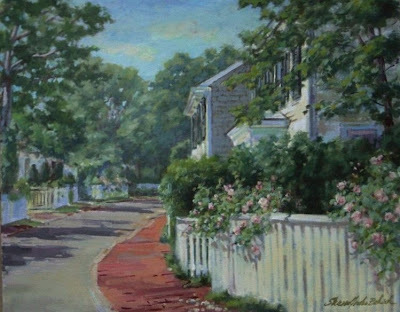 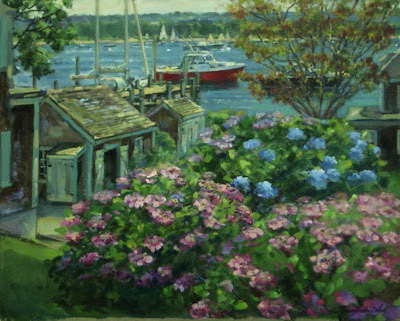 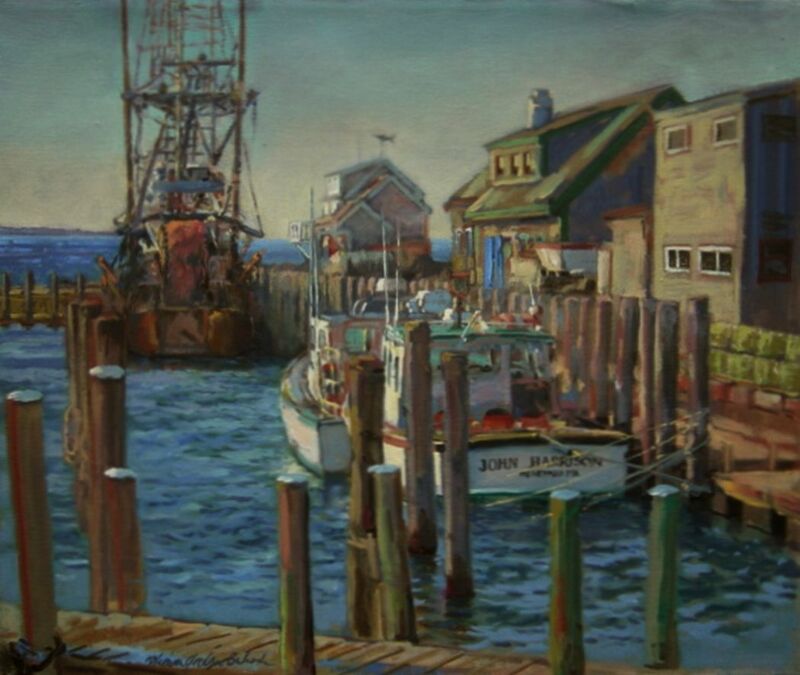 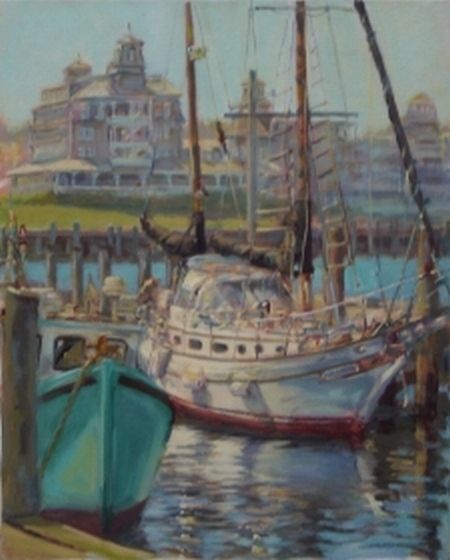 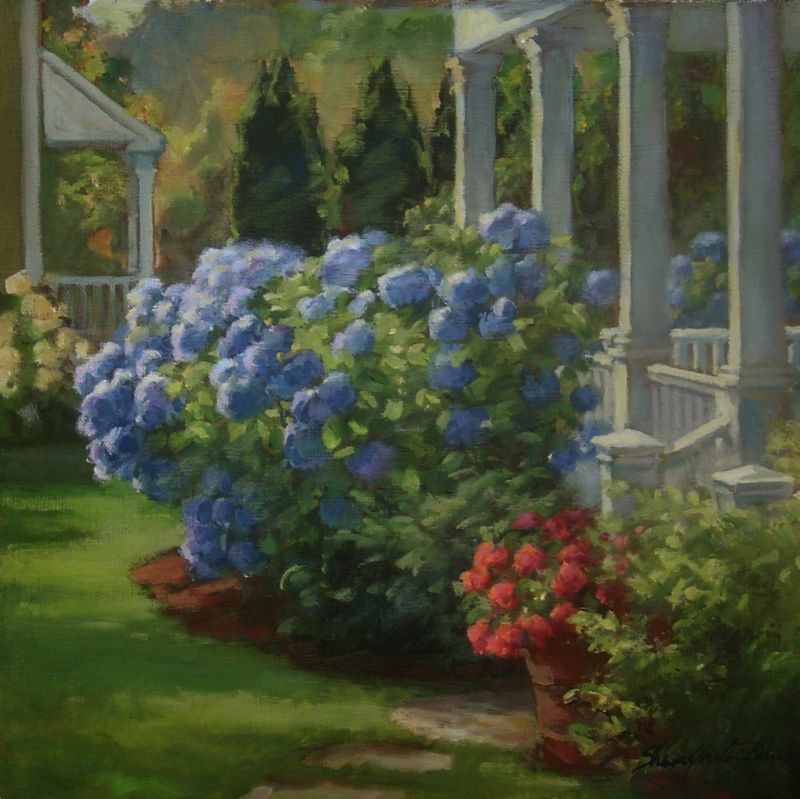 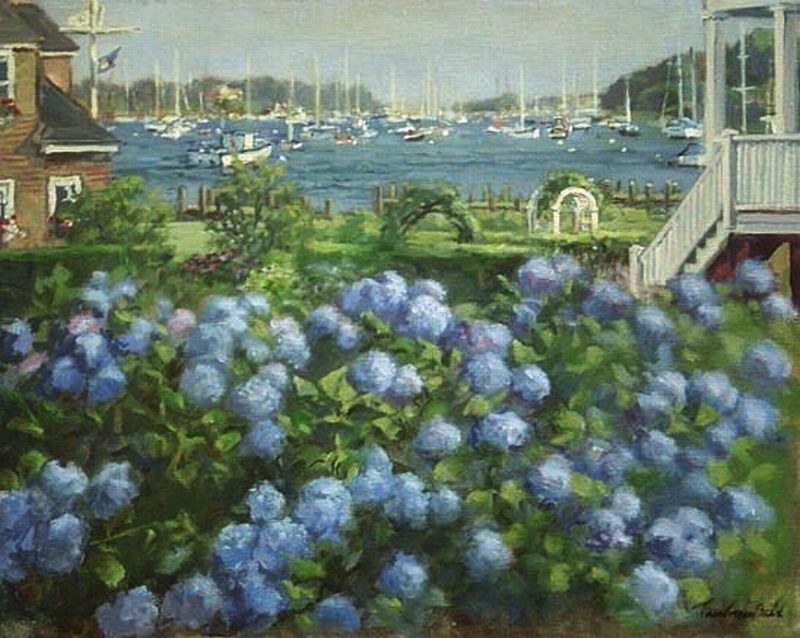 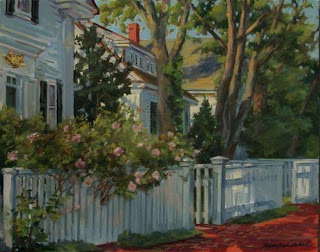 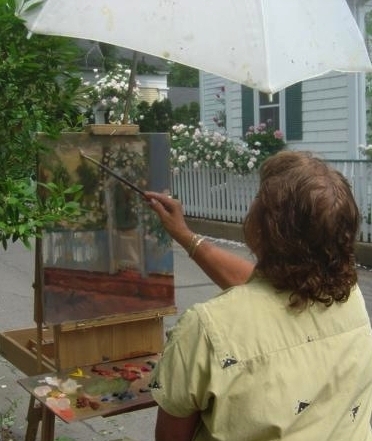 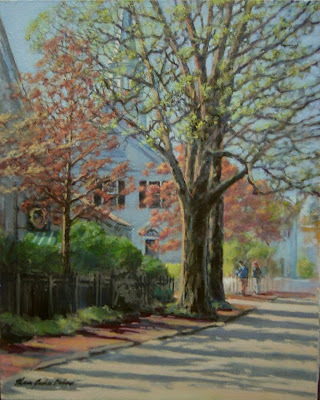 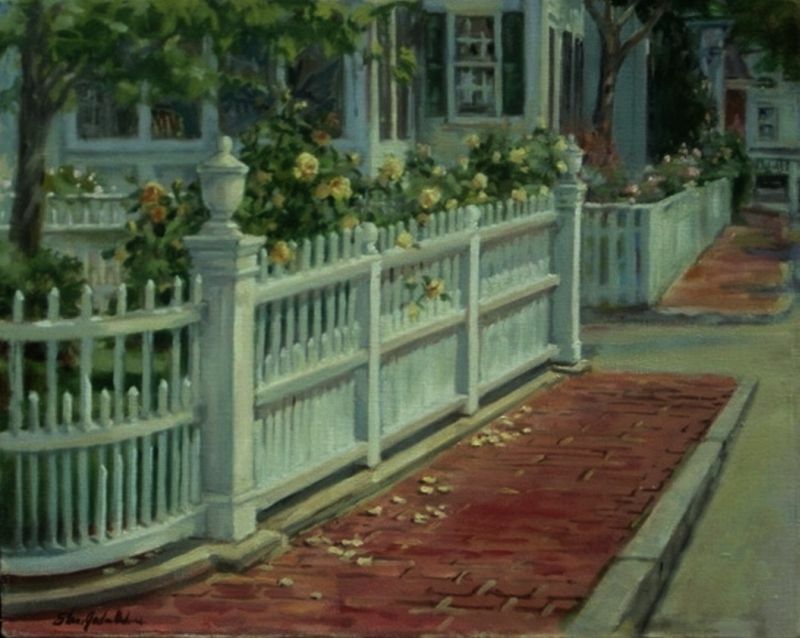 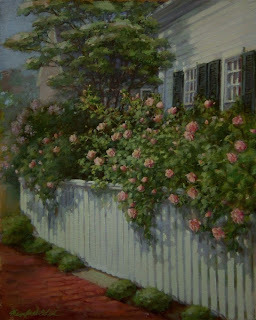 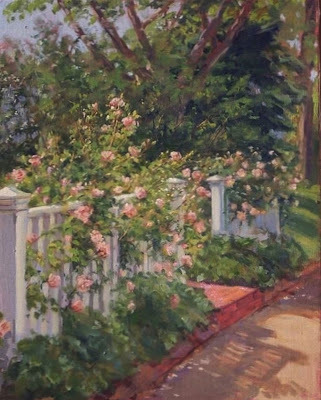 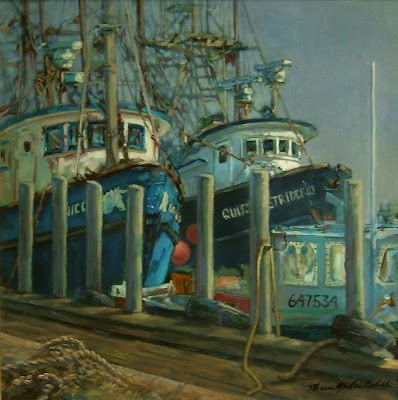 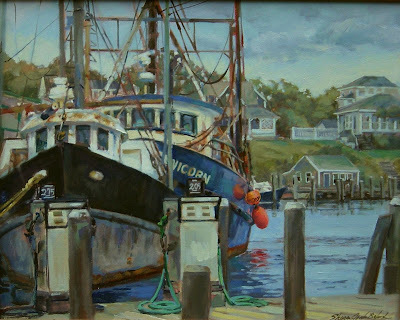 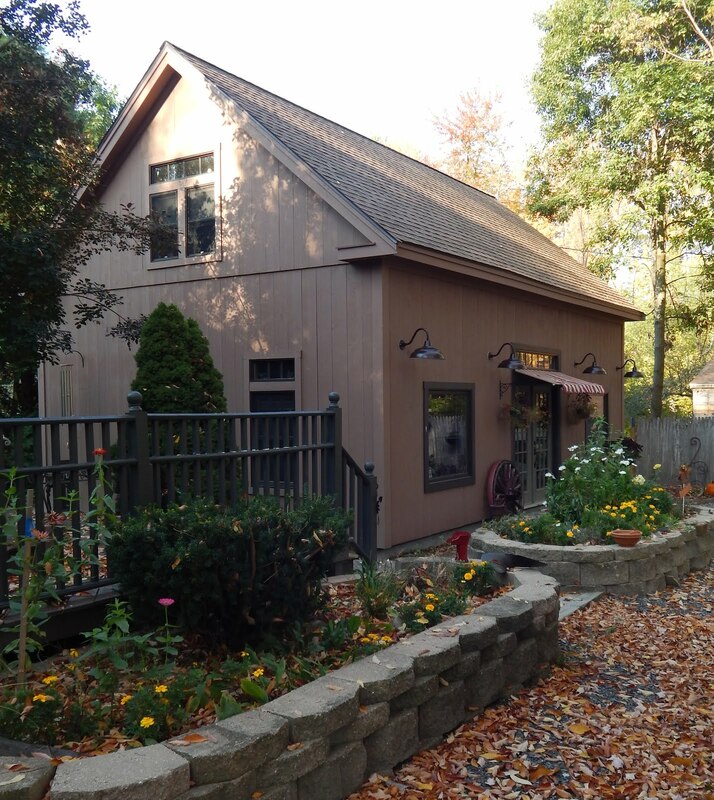 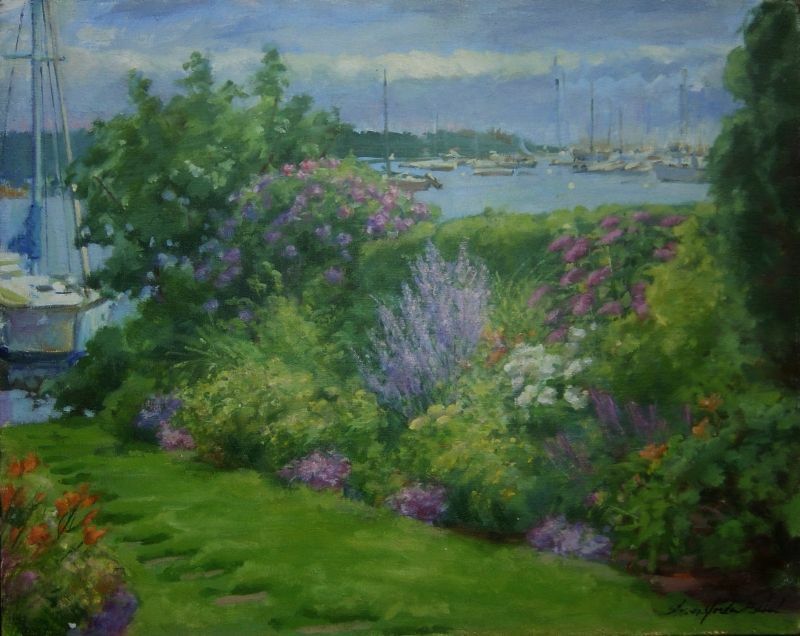 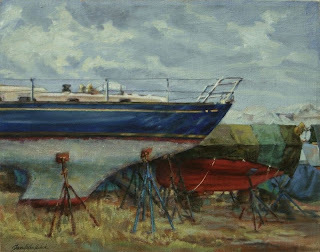 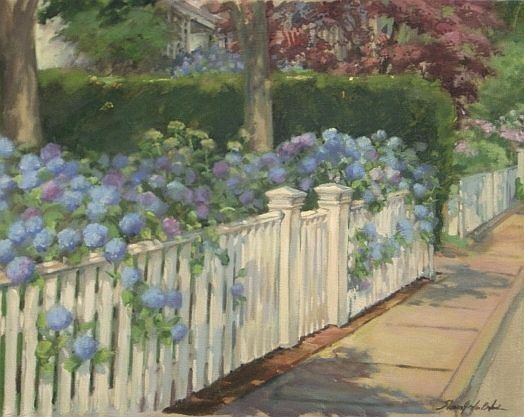 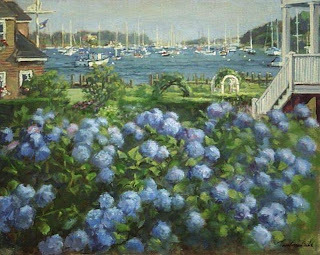 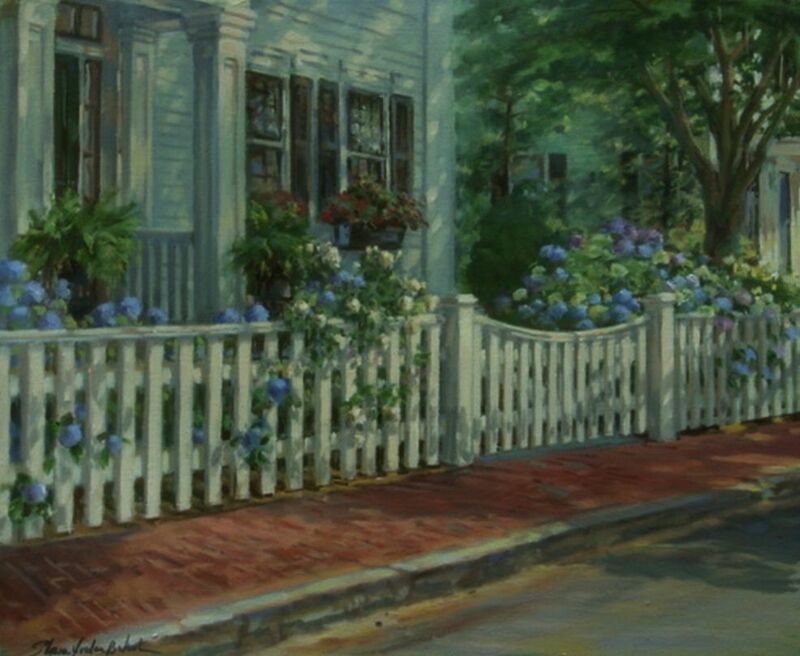 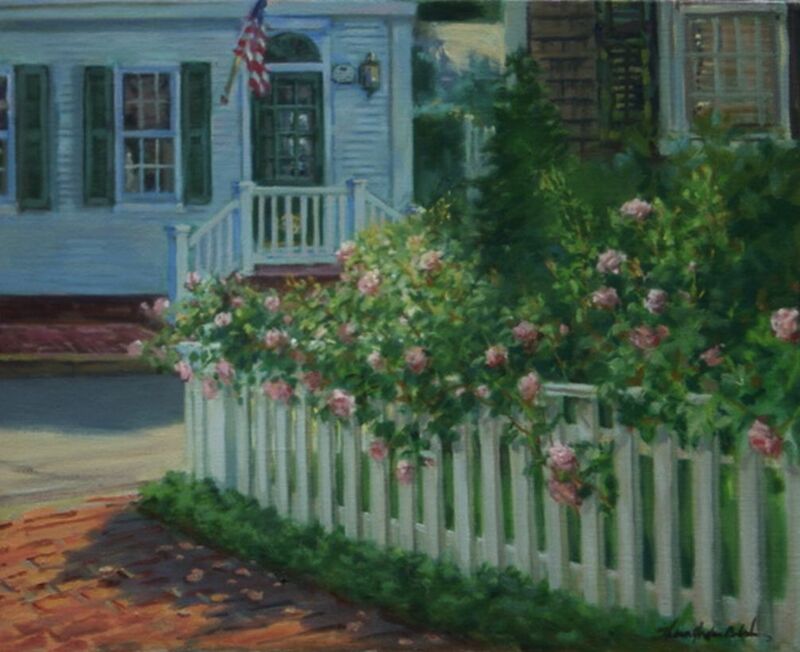 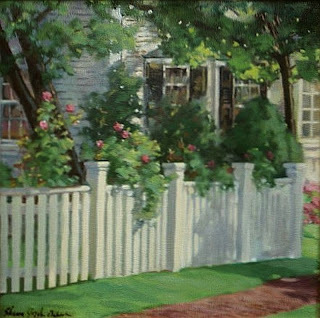 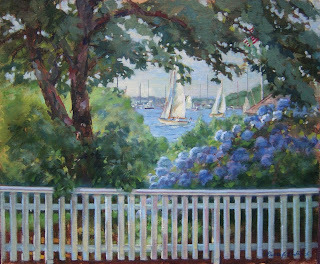 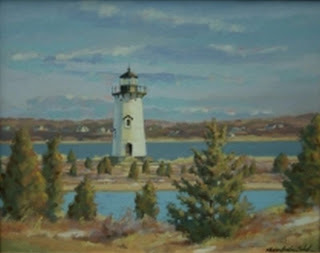 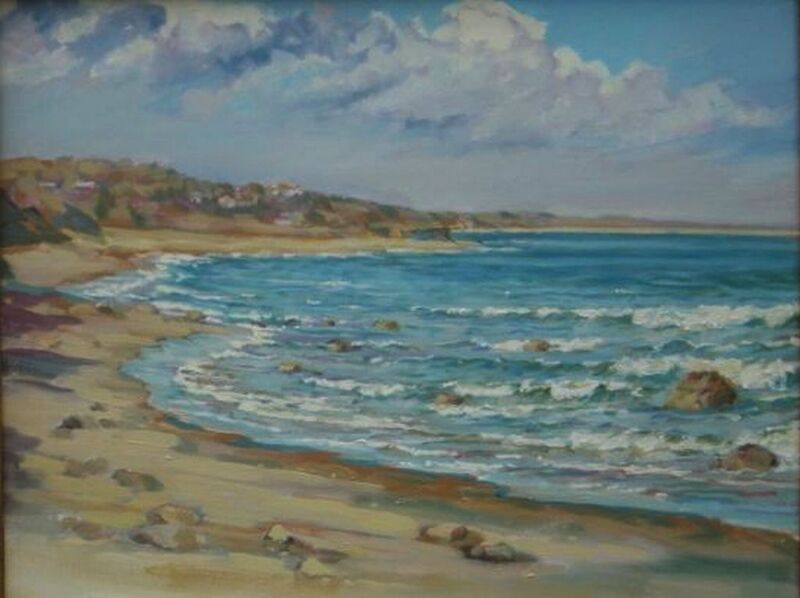 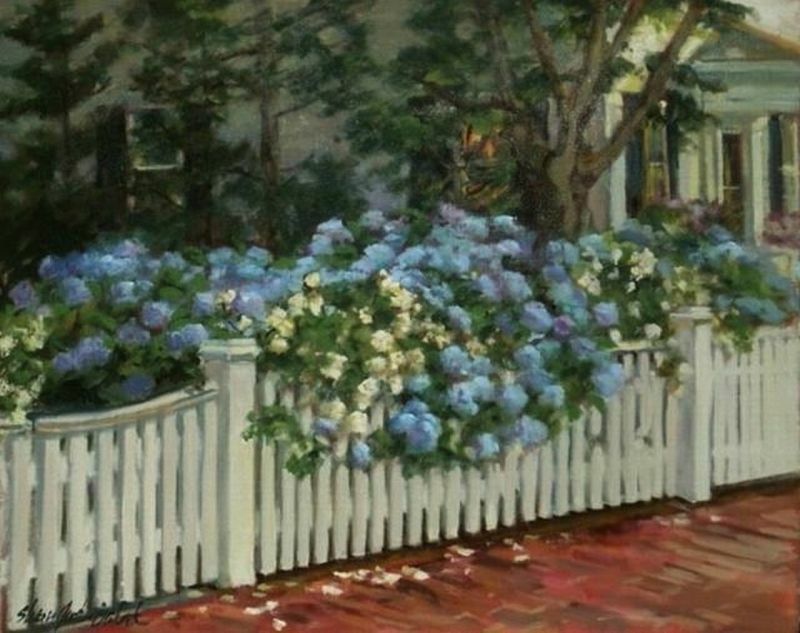 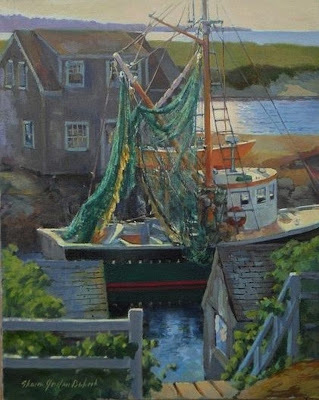 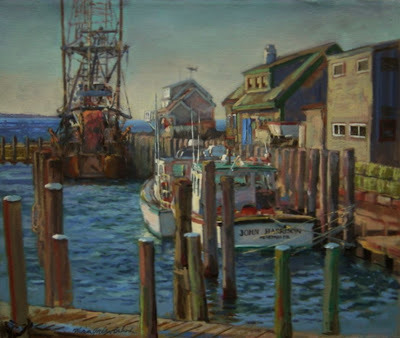 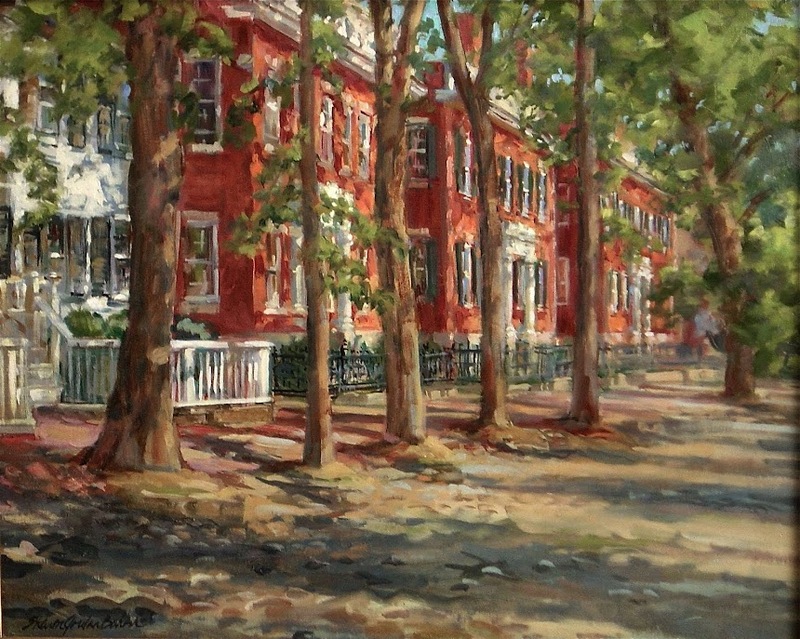 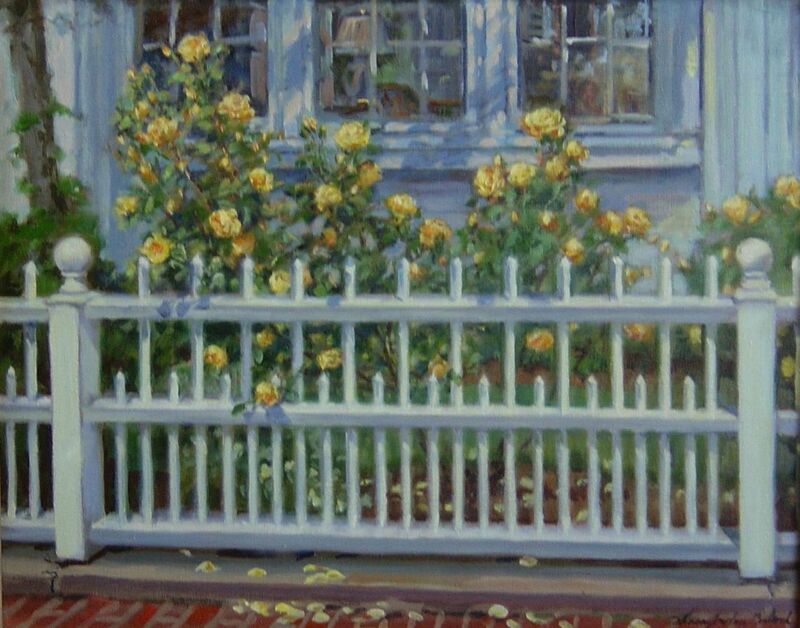 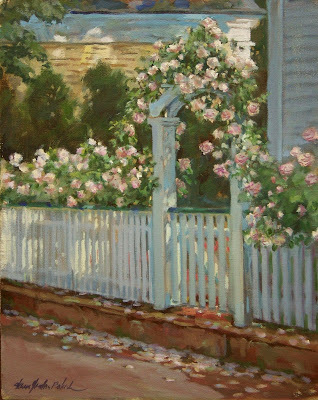 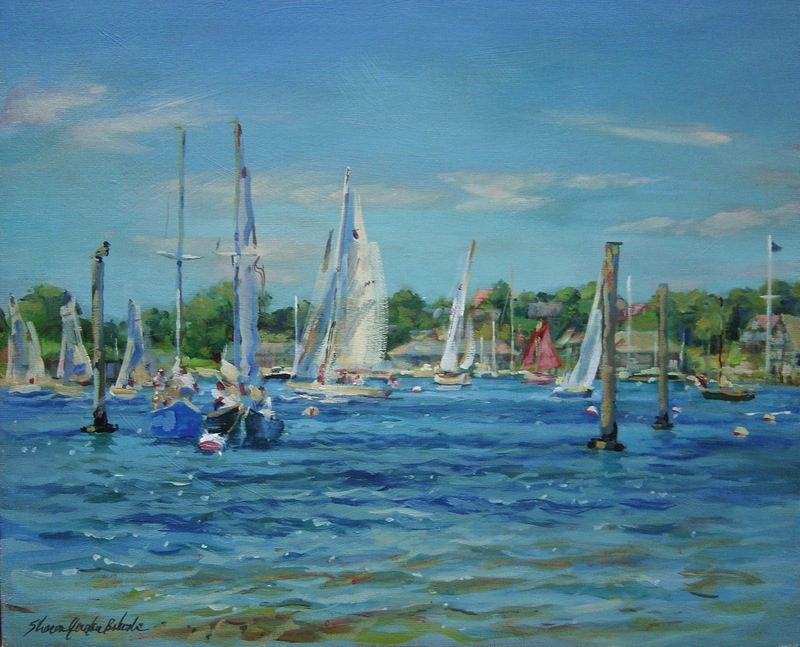 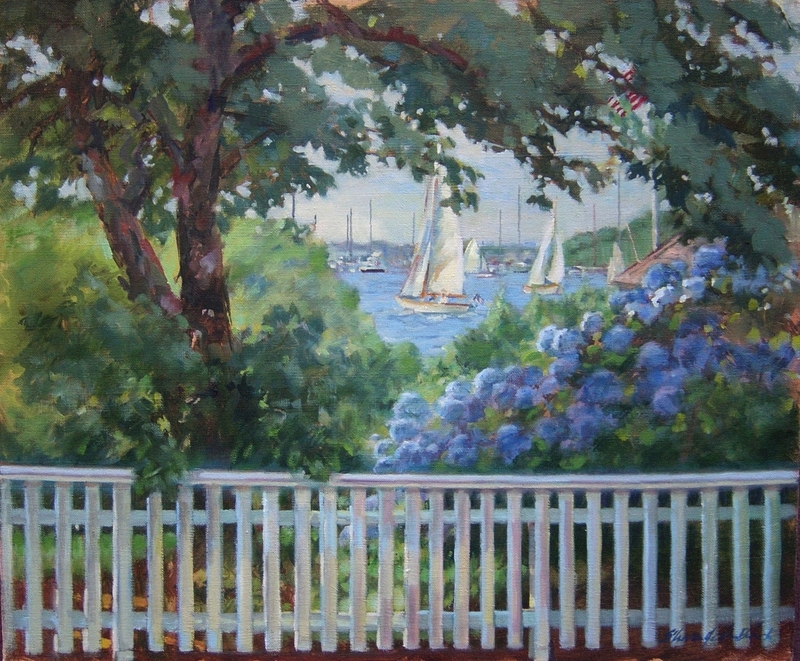 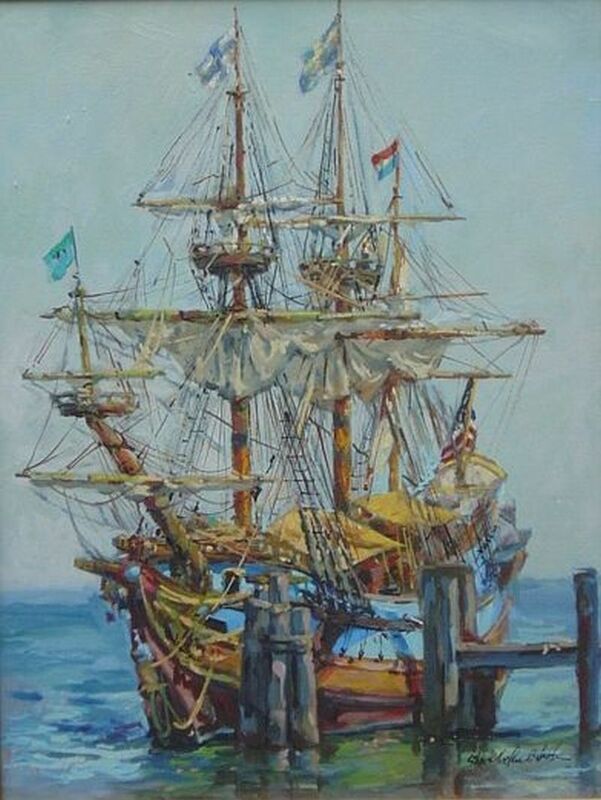 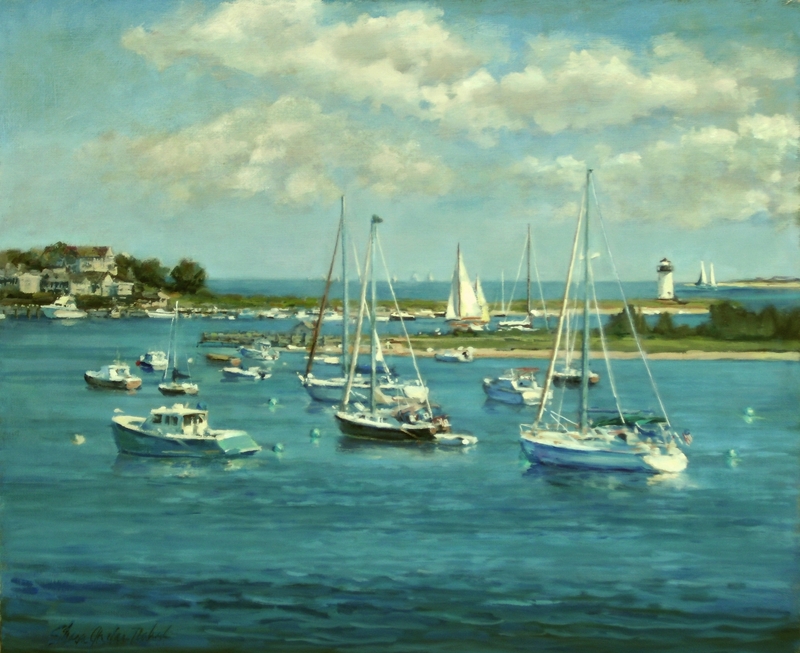 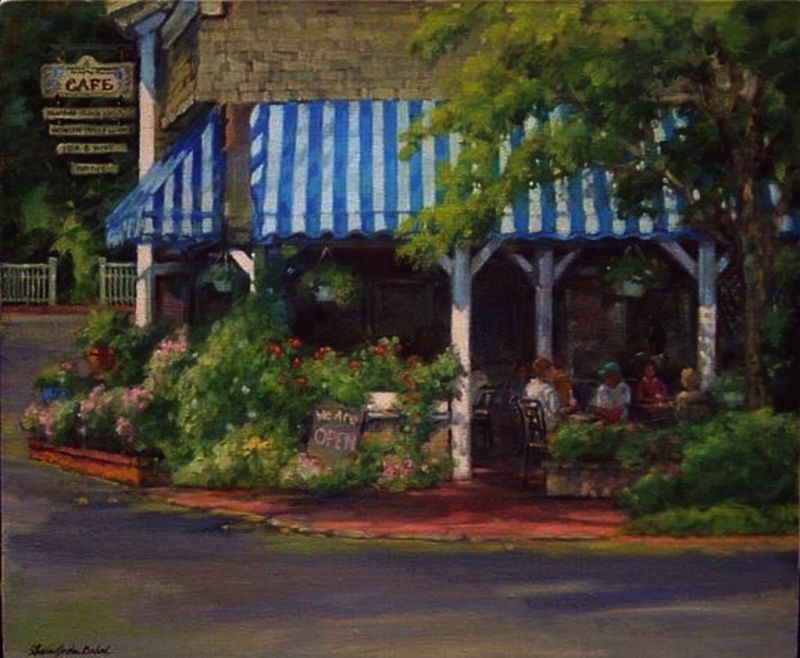 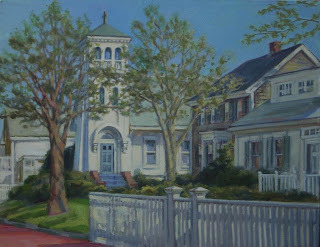 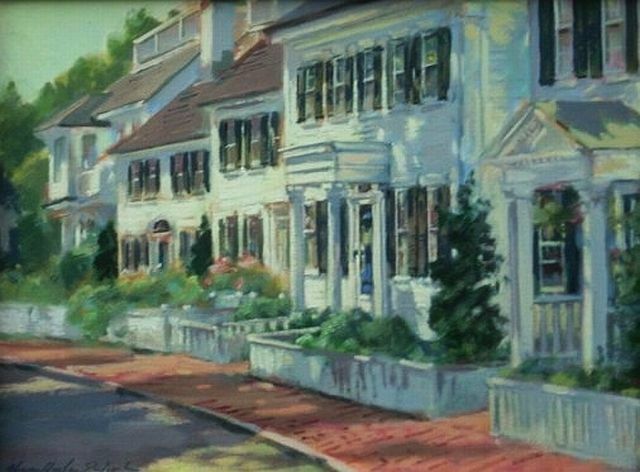 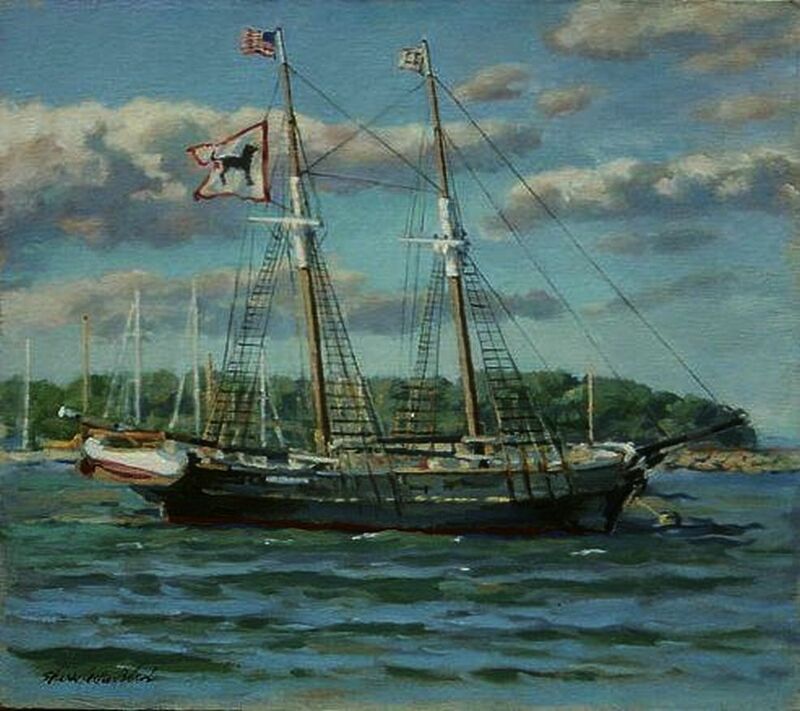 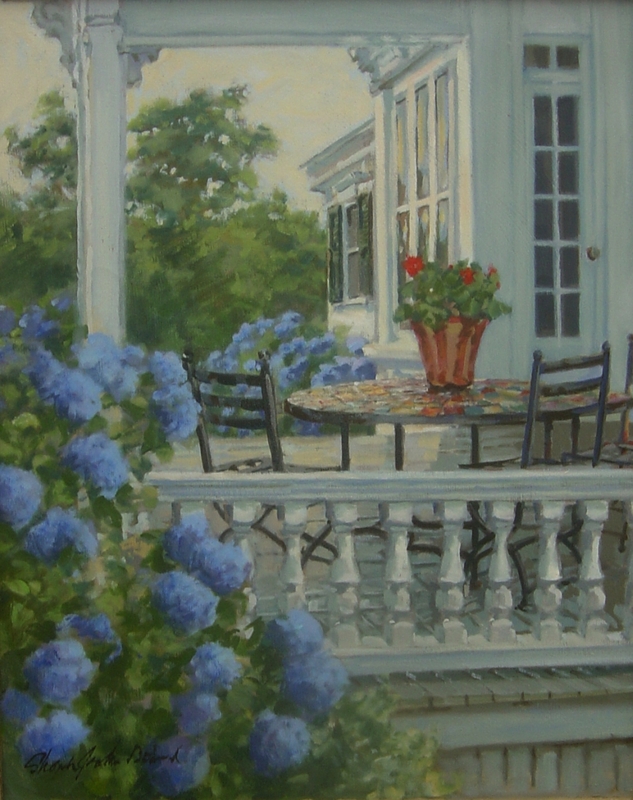 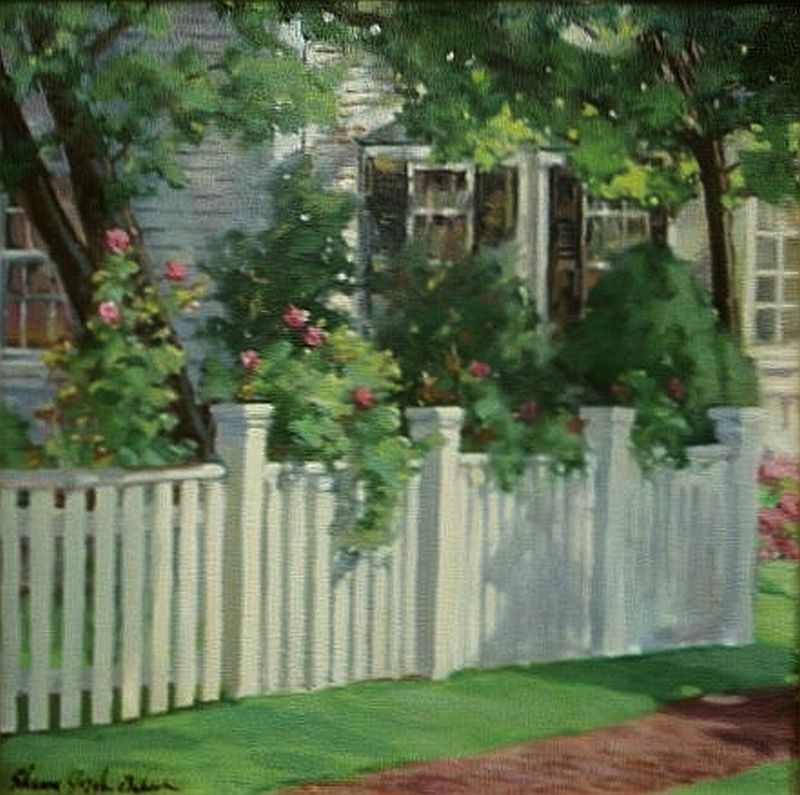 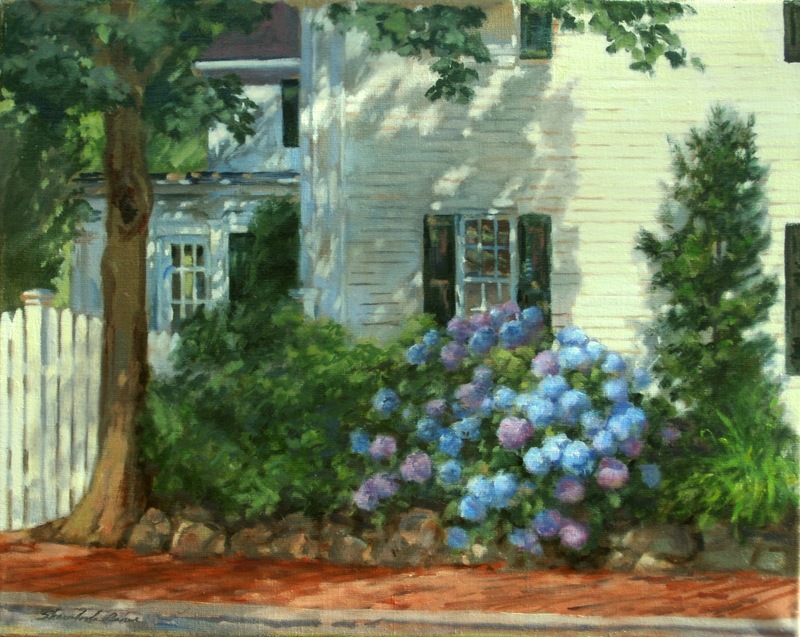 I have had solo shows on Newbury St., on Martha's Vineyard, in Rockport and am an artist member of the Rockport Art Assn., the Academic Artist Assn., the Northshore Art Assn and have awards such as the Emile A Gruppe Award from Gloucester and many others. 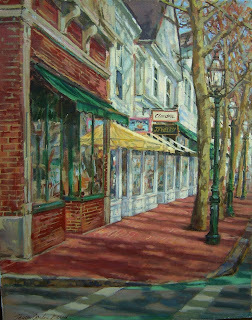 My work is in private corporate and public collections near and far. 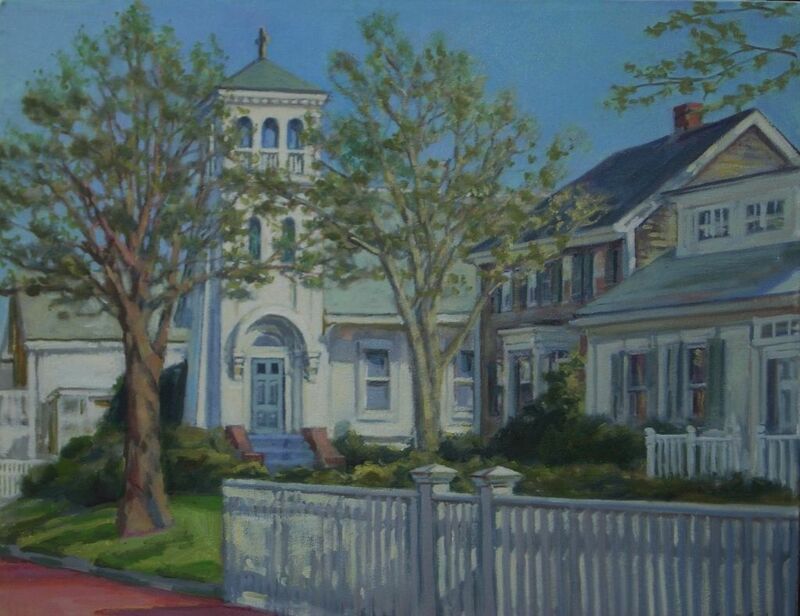 My most satisfying accomplishment remains to be the installation of my original biblical paintings in church venues that honor God.